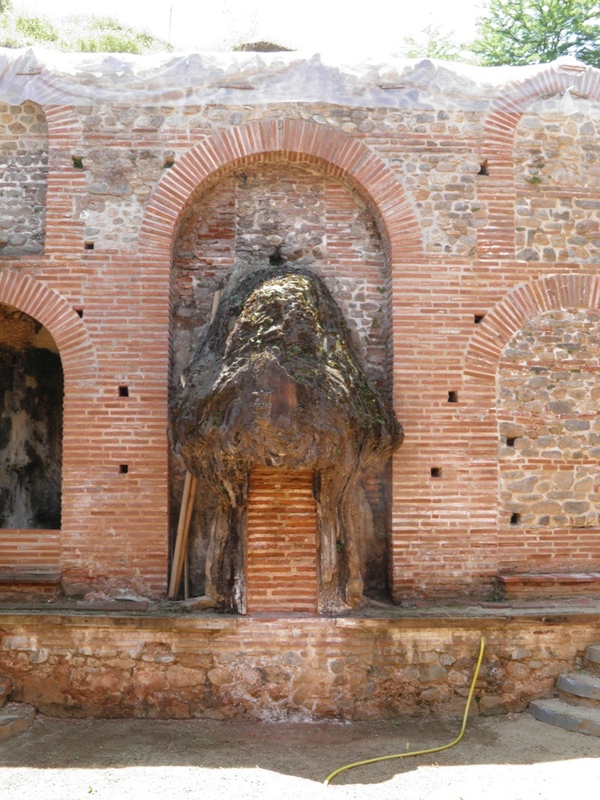 At 12 km from the town of Strumica, at the northern foot of Mount Belasitza, located are strong hot water springs with a temperature of 72 ° C. The source is located in the village of Bansko, which is the main reason why water baths once got the present name. 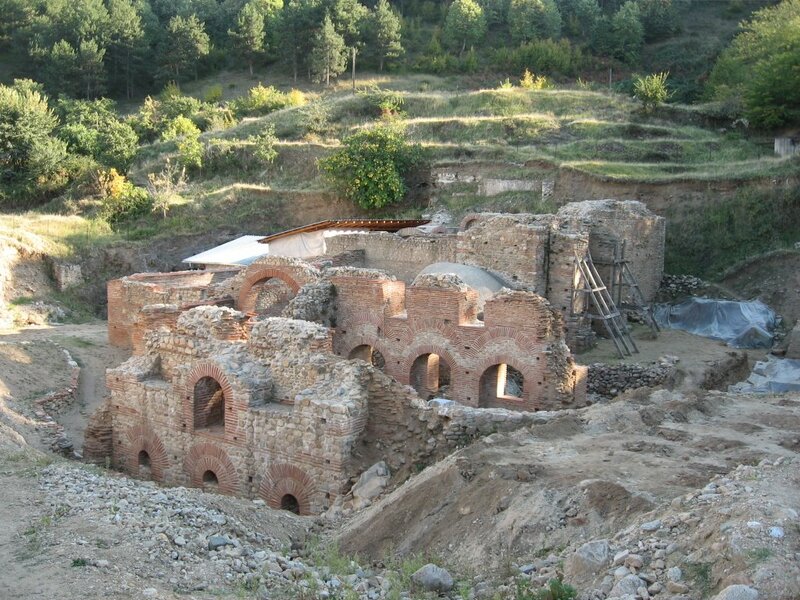 Near the source "Parilo" located is the Roman bath, which was built in the II century AD. 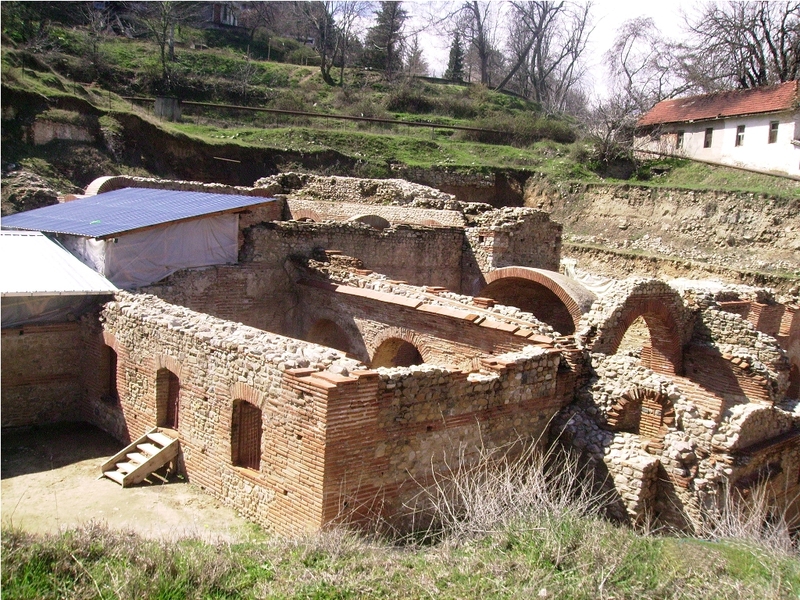 This area covers more than 1500 m2 and is one of the largest baths in the Balkans. 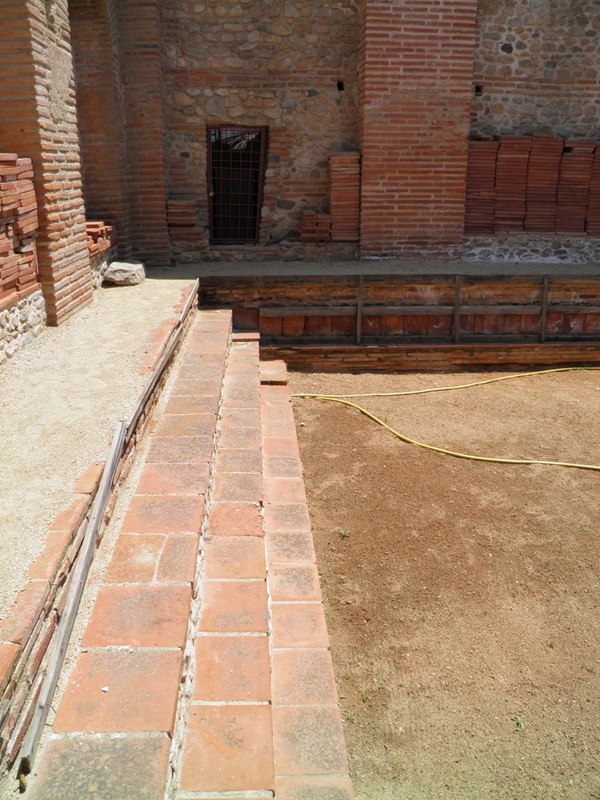 Most of the 11 rooms have different functions and are mainly built of brick and stone combined with the mortar. Heating inside was designed and constructed with a special system in which hot water was used to heat the floors and walls.The bathroom is designed like most Roman buildings and was in the spirit of the health needs of the Roman culture. The roman bath had also a dressing room (apoditerium) for the clothes, and in the area called “dipterium” the sick were massaged with oil. 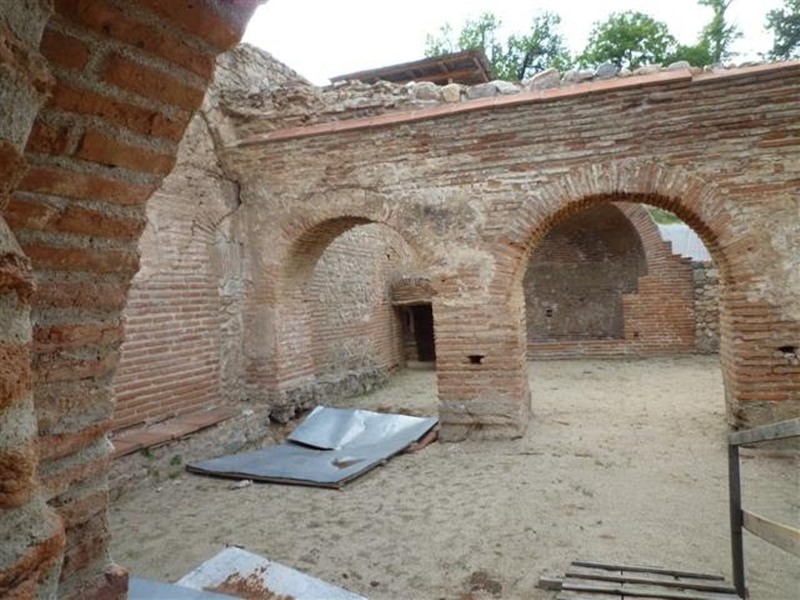 The room “tepidarium” was located among the hot bath (sauna) and cold bath (frigidarium). 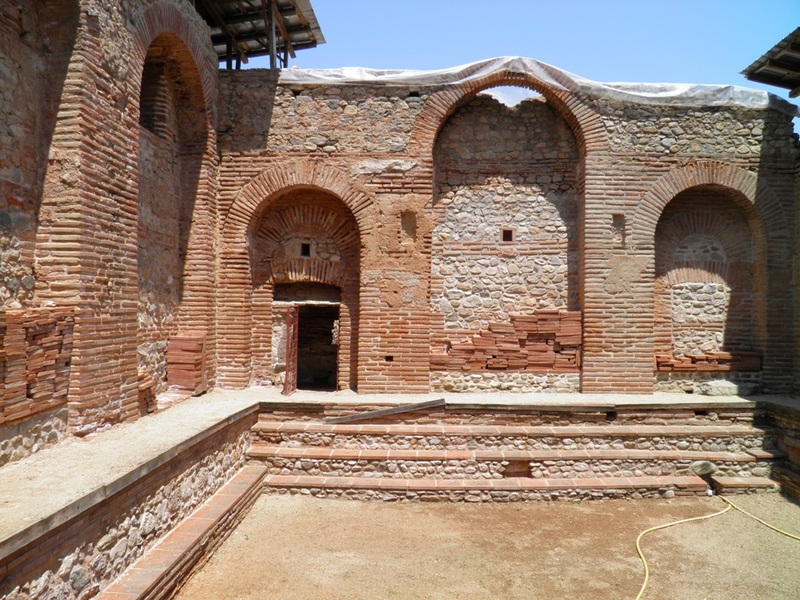 The main place was occupied by the baths and tub pool whose depth was about 1.5 m, and the pool was gained by stairs. The sunlight entered through the windows, which made private and intimate atmosphere. Destruction of this sanatorium happened in VI century AD.Thermo sources are five in number, of which only one, is the largest expert captured. It flows into the main bath called "Turkish Bath" and four other freely wreak with no particular catchments, and only one part flows into the bathroom "Salandzha". The water temperature in the source does not change during the year, which proves that comes from great depth and without weathering. 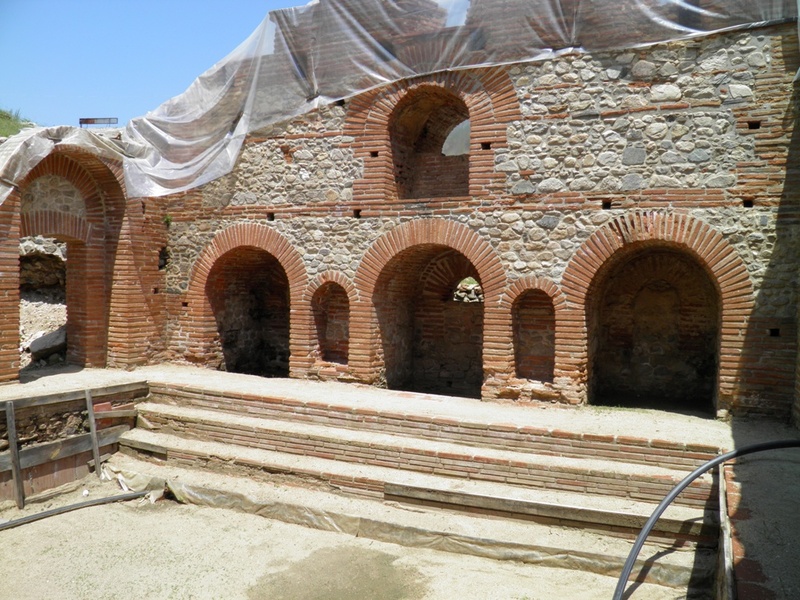 The temperature of the water sources is about 71 degree in the spring, which supplies the main, Turkish bath, a source that supplies "Salandzha" is a temperature of 56 degrees.The site "Roman bath" in Bansko is one of the few preserved Roman monuments of its kind in Europe. If you are considering to go by bus you have a dozen of bus lines between Skopje and Strumica. Time travel is 3 and a half hours. 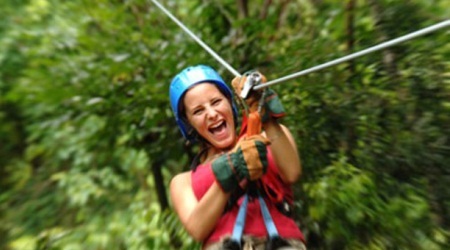 Price for one way ticket is 480 denars / 7.8 EUR and for two ways ticket is 680 denars / 11 EUR. Then you have to call a taxi to get to Roman Bath Bansko. If you are not comfortable to travel by train or bus, you can always get a taxi. The price in one way to Bansko is more or less 4700 denars / 76.4 EUR. If you'd like to explore the land during your travel to Bansko you can go by car. Distance between Skopje and Bansko is 163 km.